John Zarrella is the owner of JZ Media https://johnzarrellamedia.com/ a niche consulting firm specializing in news production, media training, video production and other services such as voice over work and event hosting. Prior to starting his own consulting firm, he joined CNN in November 1981 as executive producer at CNN world headquarters in Atlanta where he was responsible for the overall look and content of all hard newscasts. He spent 32 years with CNN. John Zarrella was CNN’s Miami correspondent, named to this position when the Miami bureau was established in December 1983 and was responsible for CNN’s coverage of news in Florida, Central and South America and the Caribbean. Zarrella was also a principal correspondent for CNN’s coverage of the U.S. space program, covering such events such as John Glenn’s 1998 return to space, the Mars Pathfinder mission and numerous space shuttle launches. 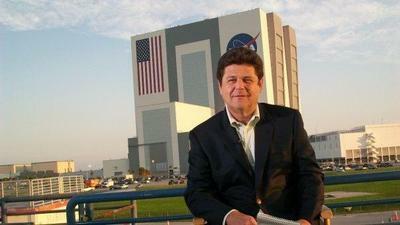 Zarrella was the CNN network correspondent on site when the 1986 Challenger shuttle disaster occurred. In 2011, Zarrella covered the final flights of the Space Shuttle program. Zarrella also served as a correspondent on major news events for the network, including Jean-Claude ‘Baby Doc’ Duvalier return to Haiti, Air France crash in Brazil and the Honduras Coup in 2011, the network’s Peabody Award winning coverage of the Gulf Oil Spill in 2010, the Terri Schiavo controversy in Florida, the 2002 Elian Gonzalez story in Miami, the 1995 bombing of the Murrah Federal Building in Oklahoma City, the 1985 hijacking of TWA flight 847 in Beirut, the trial of Manuel Noriega and the Mexico City earthquake in 1985. John Zarrella has hosted numerous Astronaut Hall of Fame Inductions, Apollo Anniversaries, the Atlantis Grand Opening and other key events at Kennedy Space Center. Zarrella earned a bachelor’s degree in English from St. Thomas University, formerly Biscayne College, where he helped establish the college’s journalism program.